With a project cost of only approx. 400 Cr. India successfully landed Mangal Yan on Mars – a huge technological achievement. We can do wonders in space – but we are failiure in civil & defence aviation sector. Its a pity we are paying almost 1600 Cr. for a 15 mtr. long aircraft. Remember Mangal Yan was not made in assembly line as Rafale. Recently heard US Govt ordered 78 F18s for $4 bn & read among related comments that French Govt paid $2 bn for 28 Rafale & we are patting our backs for having paid $8 bn for 36 Rafale. Its for our decision makers to justify. Proper mix is required. I don’t think we need Rafales in such large numbers. We also have Tejas which fulfill our demand for numbers.. I think we should go with with SU-35, which will not be costly and one more advantage – the past track record of our politicians shows that in respect of Russian purchases there are no controversies and scam allegations. For example S-400 Triumf missile system costing around Rs.40000 crore ( compares well with Rs.59000 crore Rafale deal) was also under Inter Governmental Agreement route and no sovereign guarantee, no offset arrangement, no controversy, no scam allegations !!! We may top this with another buy of 36 Rafales, which are very good for adopting offensive strategies. current governance failed during its full tenure to buy select combat aircraft as was required by IAF while it is vocalising about national security at the fag end of political tenure. However, required by IAF quality combat aircrafts must be soon procured by ensuing govt.,to overcome existing less useful wintage units. I think SAAB gripen will be finalised . It has a very good reason ” adani group partnership ” . This is enough for contract rest are formalities . But didnt Shri Shri Modiji made the deal of the century and bought the “36” Rafaels that the Air Force needed ? I think Shekhar Gupta ji commended him for this deal even, all in “National Interest”, and I was very happy to see that. So now you mean that`s not enough? Then why exactly did he buy 36 Jets for? Who exactly asked for 36? My guess – IAF didnt actually need the 126 jets earlier they had asked for during UPA, It was someone`s joke maybe. They actually needed only 36, which ofcourse only Shri Shri Modiiji and Shekhar could clearly understand, all in National Interest. And now this is second season of the old joke that IAF is out again shopping for Jets. Or maybe in reality they need 12 or 14 more, which Shri Shri Moodiji will finalise on his next trip to Paris in 2020, when he goes there with a business delegation. Wah Modiji and Shekharji Wah! Right time to buy with technology transfer agreement and getting help with the existing difficulties in other projects . When the world is running out of FUNDS …just bargain like a baniyaa . I dont think USA is dying this time to upgrade Indian Airforce. The superiority of their airforce and technology is well known and they are the pioneers in both the electronics and avionics. Also the mass product capabilities that US has is unmatched. French historically never had any potent air force. This Rafel is well known for its high operating cost, heavy airframe and is known as a gas guzzler. US companies are on a verge of getting some very large contracts from other nations too. India is a friendly nation that’s why US is offering the techs that is usually banned for sale outside. Now, I don’t think any deal will be possible in near future, it’ll impact economic relationships between two countries also. We should not forget that it’s the US based firms that are employing millions of I So and directly and indirectly. It’s all business. If they are giving money to support Indian household economy, they’ll expect from US also to support their defence industry. Also, OAF requires aircrafts in large numbers, and very quickly. Rafel doesn’t have the mass production capabilities. Only USA and Russians are good in providing aircrafts in large numbers. This Rafel is a scam by this government. French purchased 28 upgraded Rafel for around 2 billion dollars while India is paying around 8 billion dollars only for 8 more Rafels. Rahul Gandhi knows this because Congress party always had people in administration. This whole fight in CBI was to hide the Rafel deal only. Instead of F-18 or F-16 India can look at F-15x which has just been unveiled. And it beats me why they’re looking for single – engined aircraft. The sole engine fails, the pilot has to bail and the entire aircraft is lost. A twin engine plane can at least make it back. I believe our defence purchase is revamped & has SC scrutinized during Rafel deal. Our IAF is more aware about ground reality about serviceability, availability anytime, spare available, it’s production, dependability on only few companies and hence we lieve it to IAF to decide. I believe it is only on insistence of IAF both governments selected Dassault. Rafale is likely to be the winner. As the above article itself say that the India specific requirement is already made and Rafale also offer a Naval varient for IN Aircraft carrier. 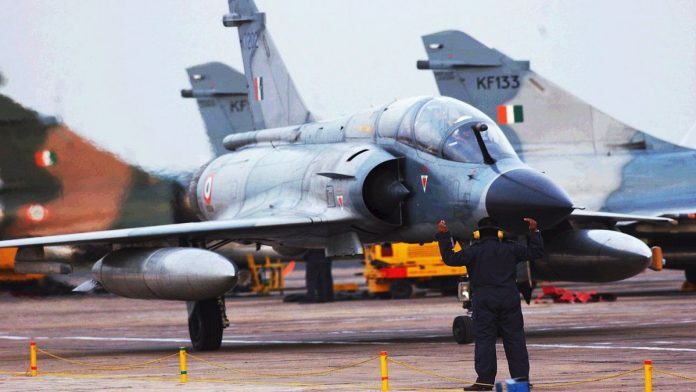 Further IAF is already maintaining more than 7 different jet fighters in its inventory so, adding another one more will be cause of concern with regards to training and maintenence of spare parts. Also it will be an added advantage if Desault follows the P & P (Public private) partnership model like how Boeing is partnering with Mahendra and HAL. wrt to war we need fighter planes which is not much known to enemies. F16 are common in market so the pros and cons widely known. It was the PAK pilot’s inablity and kill himself in front of vintage MIG. I think IAF forced to fly our old fighter planes since the hangers are near to boarder. Though IAF wanted to build hangers for SUs but there file got dusted or no decision was held. Imagine post Balkot PAF reaided through POK and they were able to drop some bombs ? Even the SUs are much capable they were not ready airborne since our hangers were far. Going by the present chiefs philosophy I.e. when attacked throw the numbers, then going by the urgency of requirement we need urgent supplies and finally the fact that we need Superior fighters , why not have a mix of aircrafts, since a) we need urgent replenishment b) we need Superior air power c) we need to indigenize. I think Boing F 18 is the best option for our navy. We should concentrate for LCA Tejas and indigenous development of Kaveri engine with an effort of cost curtailment. To develop Tejas we may take the help of SAAB as offered by them. For Kaveri french help may be explored. Cost curtailment of Tejas should also be looked into. f18 is the best option in short time . yes you are right ..
time is important here ..
it should not get (be) outdated when we get tham ..
so your second point is worrying. WE SHOULD GET F18 or his variant soon. than we should /can start planning for next generation. If we choose price over technology, be ready to loose war. One has to have the best armament and equipment to win a war. Let’s not be miser as far as country security is concerned. I am surprised that with the launch of false rhetoric by Congress on the Purchase Order of Rafale Key by NDA , the Government is now bent to make additional purchase of the balance fighters from amongst it’s competitors from elsewhere. I just can’t believe that the opposition to build up such a strong conviction that forces the Government to take a back step when the complete deal of Rafael was almost final . This time probably the Congress would have charged a huge commission from the competitors of Rafael for creating a false noise against the Rafael. So when is Modi is going to france with Anil Ambani in toe. ? apart from the Indian Air Force Indian navy will be needing 6 squadron as India will induct ins Vishal air carrier, hence f-18 and rafale are real contenders as they are also air superiority fighters as well. though rafale has a slight advantage. F 15 E the flying Eagle is the Aircraft which is not listed in the competition from Boeing formerly designed by Mcdowell Douglas is the fighter plane India Needs so desperately and it is the fighter plane that suits our defence needs perfectly ,it will dominate our adversaries and their skys even if they have 5th gen stealth fighters like the J 10 and the j 20 of China ,its cheap has about 115 kills in battle by the Israeli airforce till date and is being ordered by qatar and is also with the saudi arabian airforce it is a battle hardened and a proven war horse,The US has ordered the latest F 15 E for their own airforce so it can be used where stealth is not a requirement in battle.I hope IAF considers this option and speak to the US for this aircraft.India will not have to worry of ariel threats in the Region if they have the F 15 E.
When papu bhakt can understand about the deal they will only say one word. F16 and FA18, No. As we can never trust US with our front line equipment, in case of any war they might just disable them or degrade them. EF2k, no, coz of the stated reasons and it I yet to prove itself. Gripen, it is very promising, all the deal is sweet, but it is single engine, and we have LCA comparable to it. Rafale, shines the most, but it’s pricey. It is leaps and bounds ahead of Su30mki, in every term, EW suite, radar, armament, robustness. price should not be the point of decision. we must get the best. the problem i see is time. by the time we get tham, they should not get (be) out dated. rafel will take more time …. I DONT BY THE POINT OF PRICE..
with due respect we should concentrate more on tejas 2.1 4.5th gen aircraft with brahmos ng missines and 30cal 30 multirole barrel canon with twin engines. tge amount if money we spend on foreign aurcraft can double our own fleet with tata steel mahindra tech tcs etc as indi allies. its sad that our indi hackers can hack nasdaq likes of satyam comp promoter but our govr will out them in tihar jail rather than award them with such tasks. i guess the production is so slow…. f18 is best as we can get tham faster ..
time is important … by the time we get tham it should not be out dated. 8-9 tejas a YEAR is not enough . The actual competition is between Rafale and F18 since Indian Navy is also looking to acquire 57 fighter jets Rafale and F18 already have carrier landing capabilities and they are already in service with US and French navies. So Gripen is rejected. Since we already bought Rafale the winner is %90 Rafale jet and govt will buy 114 for airforce and 57 for navy %10 chance is there for F18 due to the on going controversies created by congress for their political purpose. Rafale is most suitable aircraft for IAF. It is most capable along with Meteor Missiles which will prove as a Game Changer in the region. * NDA govt is good in rapid decision making and we should appreciate it. * France is ready to provide it’s special support for Kaveri Engine and ToT for Rafale. * No such assistance can be expected from Us and With Russia Sukhoi 30 MKI production was a challenging task. * IAF doesn’t want to operate many kind of different platform as it already using 6. NDA government has done a good job in defence sector from Navy to IAF. Rafale Will be the most suitable aircraft for IAF because of it’s capabilities & add on missiles. It is also convenient to operate same type of model for any Airforce. India already is flying 6 different kind of Aircrafts. * Additionally France can assist India in reviving Kaveri engine. * Assistance of France is much more in comparison to US and Russia in ToT & Make in India. SAAB Gripen is likely to be selected if BJP is at the helm of affairs in the center. Any guesses who is the Indian partner of SAAB? The final selection should be left to IAF as they would be the ultimate users. Political slugfest would continue to be there even if it is a very transparent deal, governments have to learn to live with that. We must approch to aircraft comsnies that those company will help us to make our Kaveri engine upgraded up to 5 th generation engine, their air craft should be selected for bid of 114 air craft so that once for all we can purchase this time but for the future requirements, we can manufacture ourselves for our own air crafts. I think India should simply buy more upgraded mig 29s to meet the squadron deficit. They are cheaper and better than what China and Pakistan has. Also IAF pilots are experts in flying the mig 29 as it is already available in IAF inventory for more than 3 decades. just read that part . Chances of parralell back door negotiations by CHOWKIDAR CHOR. Do you have stool in your brain?